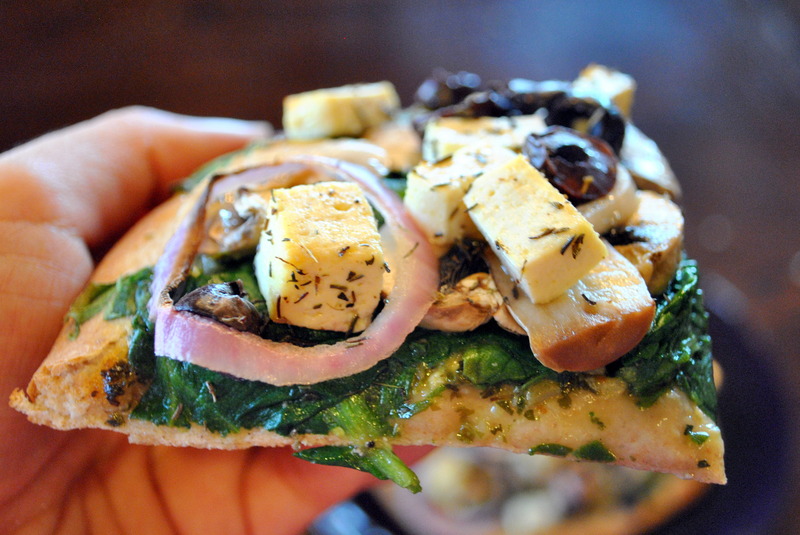 Heart Healthy Pizza: Review, Recipes, Interview, Giveaway! 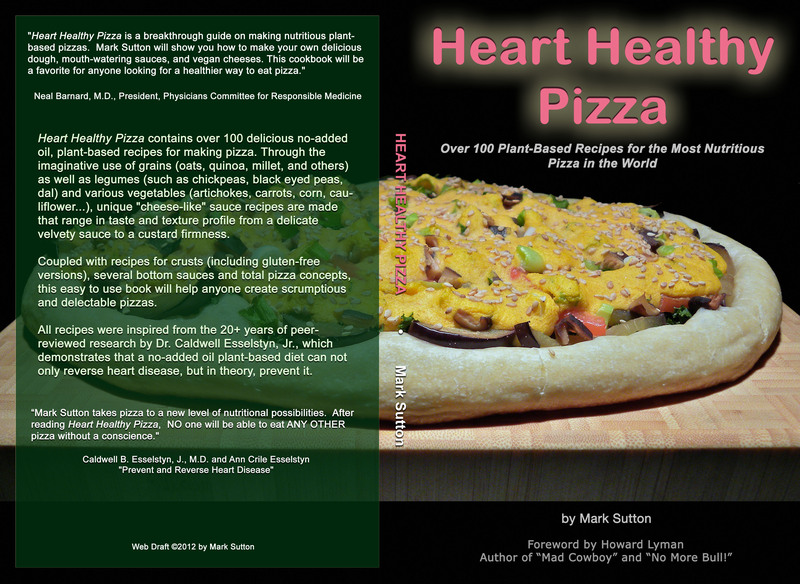 After I posted a photo of my Margherita Pizza with Foxy Moxy on Facebook, my friend Mark Sutton contacted me and asked if I would be interested in reviewing his book, Heart Healthy Pizza. He said Pizza… So of course I was in like Flynn. He also arranged a giveaway of an Autographed copy of his book for one of my awesome readers. I didn’t let him off the hitch there though, I asked if I could interview him and possibly share a recipe or two, I mean, people want to know what they’re getting into when they buy a new cookbook 😉 Turns out there wasn’t much arm wrestling. Mark was more than happy to share recipes from his book as well as have me interview him. I have to admit, when I first dug into Mark’s Book, I was a little overwhelmed. There are nearly a dozen crust recipes (including some for my GF peeps!) Close to 20 sauce recipes (for the pizza base), then more than 50 No-Nonsense Non-Cheese Sauces. I mean, the combinations are nearly endless. It all felt a bit daunting! 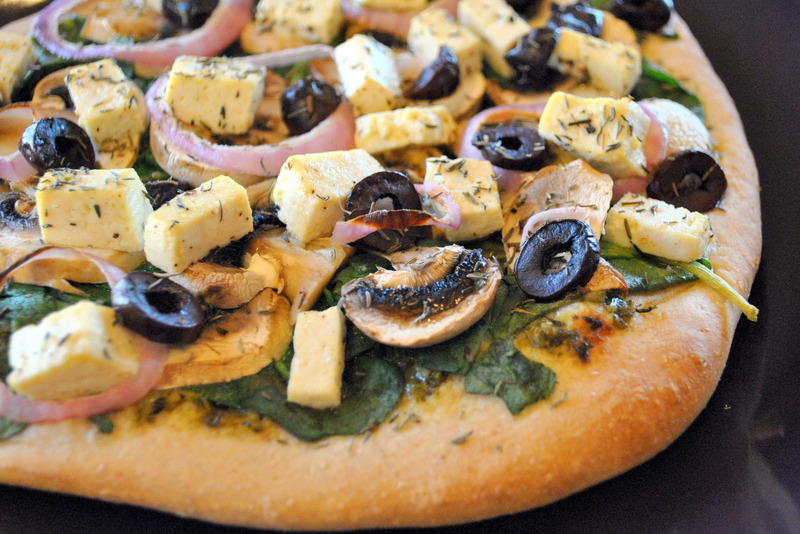 Thankfully, Mark knows how to help a home cook out, he devotes a whole chapter to some amazing pizza combinations (nearly 40 combos) to help you get started. 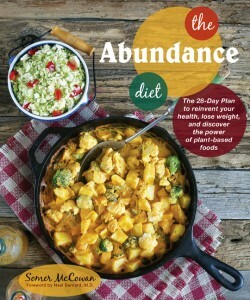 All of the recipes in his book are vegan, heart healthy and very low in fat. Several of the combinations immediately caught my eye. 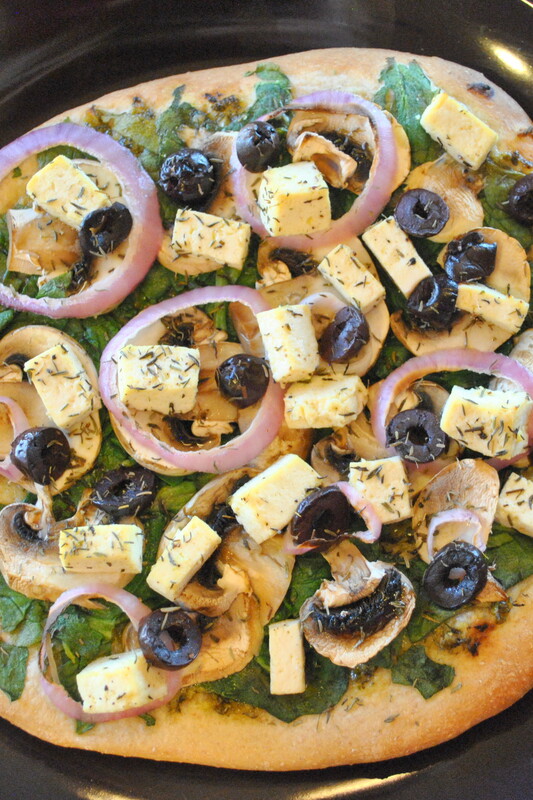 However, this Spanakopizza recipe that Mark is sharing with you today is going to be hard to beat. Method: Mark’s book has all sorts of helpful instructions in the dough chapter that I can’t fit here, so this is what I did: Dump everything into my bread-maker. Push the dough cycle. Walk away. Come back an hour and a half later. Roll out into preferred sized pizzas (I did mini’s). 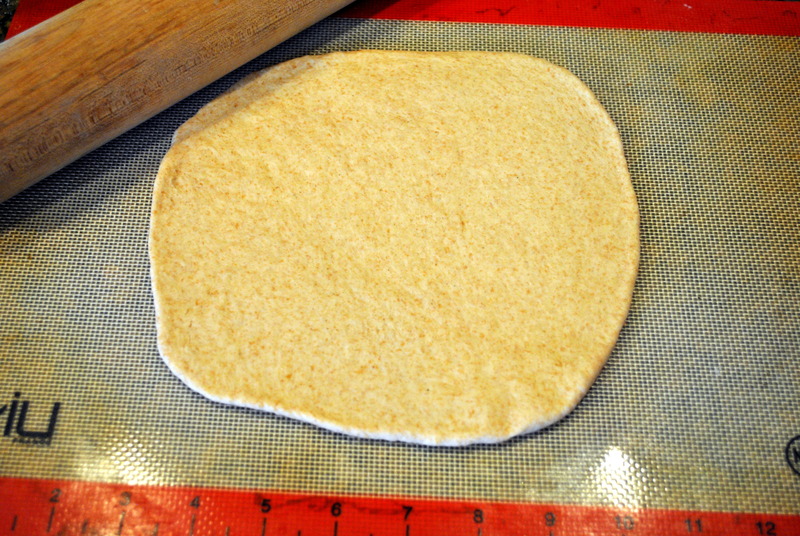 You can knead this by hand for 10-12 minutes, then let rise til double (about an hour), punch down and let rise again (another 30-45 minutes) then roll out. Method: Combine all ingredients in a lidded glass container. Refrigerate overnight to develop flavor, stirring a couple of times before use. Stay tuned for another recipe from Heart Healthy Pizza and my Interview with Mark Sutton on Friday the 5th of April. Click on the link below to enter the Giveaway! Sorry, only open only to entrants in the USA. You must also follow this blog by email or RSS feed to qualify. You have 7 days to enter! I will notify the winner by email. Betcha can’t eat just one slice! p.s. Don’t forget to enter my Sunwarrior Liquid Vitamin Mineral Rush Giveaway. This is an Organic Raw Vegan Multivitamin made completely without synthetics. I have 5 bottles to giveaway to my blog readers! There are three days left to enter! That looks amazing!! My favorite to make is the the margarita salsa pizza, so yum! Oh baby! We’ll be trying this pizza at my house! 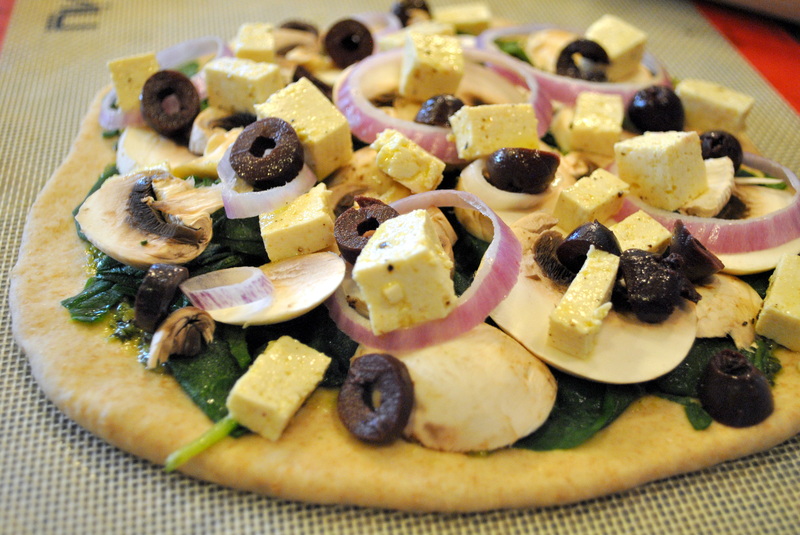 We’ve discovered since going plant based five months ago that vegan pizza can be delicious! Thanks for sharing this great recipe with us! I was one of the lucky ones to help Mark test recipes, and all I could think was, why hadn’t this already been done?! I mean, it’s PIZZA! To date, my favorite topping sauce is the garbanzo pimiento, and the basic tomato sauce is awesome if you used roasted roma tomatoes. sundried tomatoes, black olives and mushrooms! Did you like the feta cheese recipe?